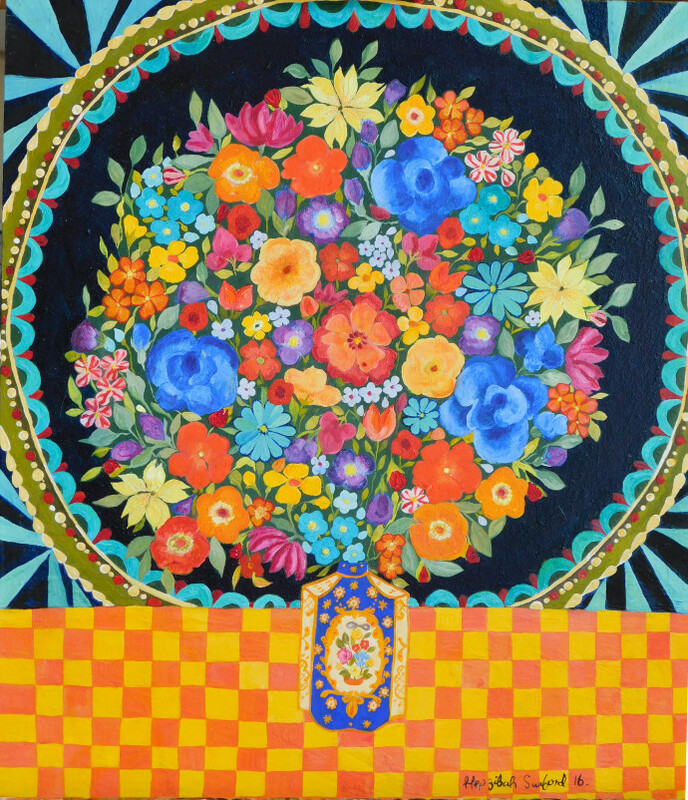 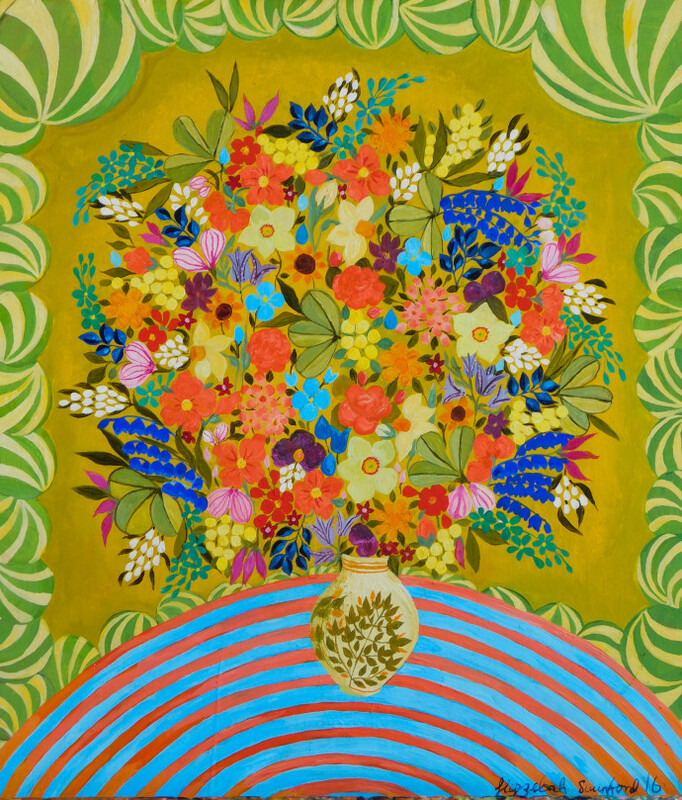 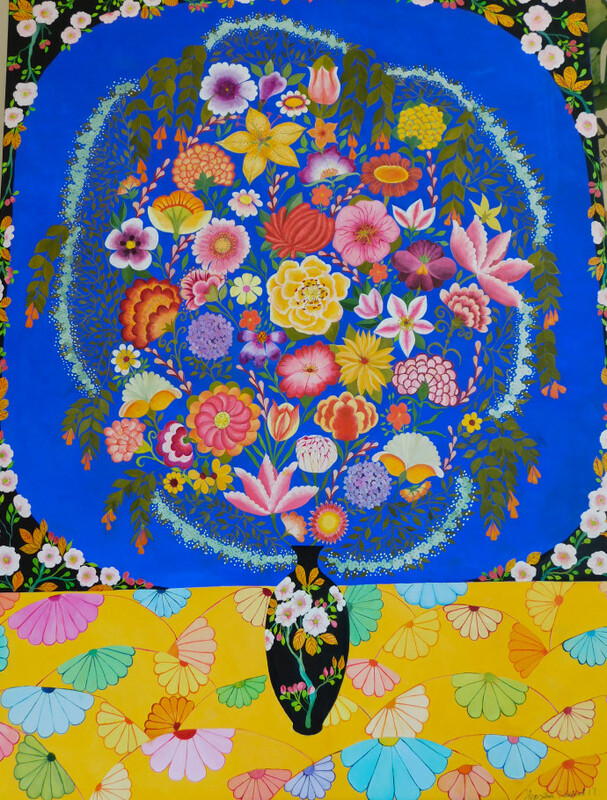 A self-taught painter, Hepzibah Swinford's subject is flowers. 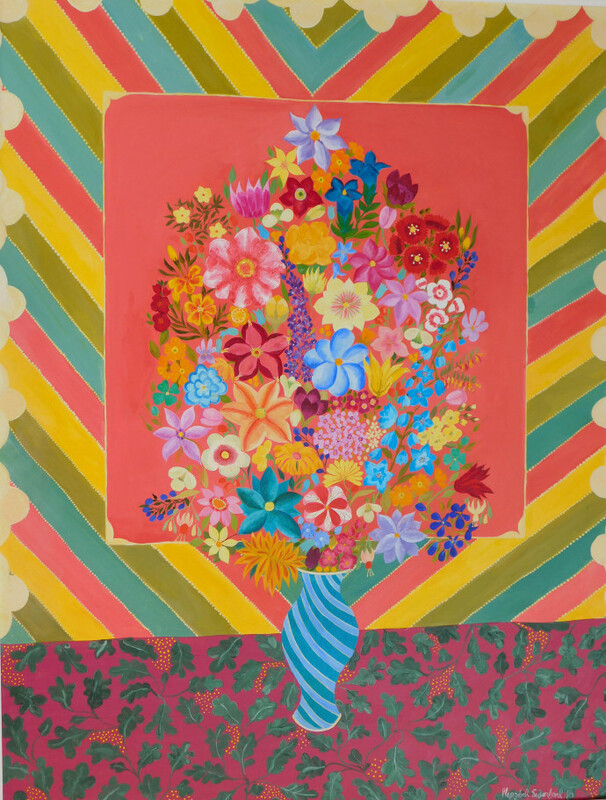 These are not explored within the context of a garden, but imagined into voluptuous arrangements in antique vases and set against a scheme of psychedelic patterns. 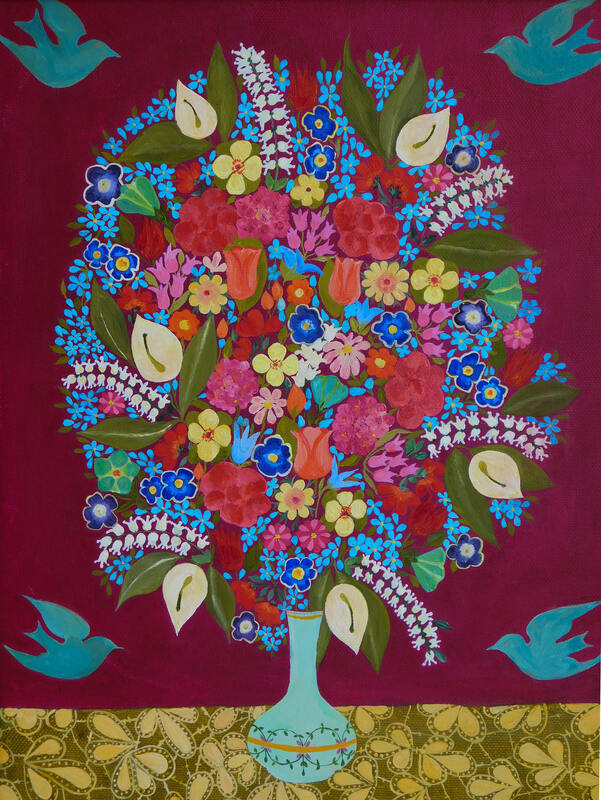 In all their endless diversity, Swinford's bouquets draw on contrasts of colour and texture. 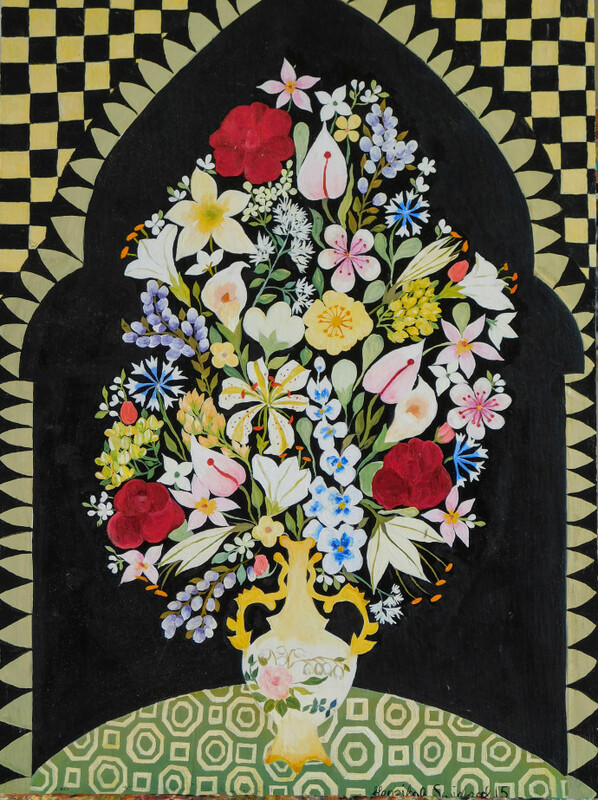 The daughter of the painter Dora Holzhandler, Swinford grew up between London and Scotland, surrounded by Oriental art. 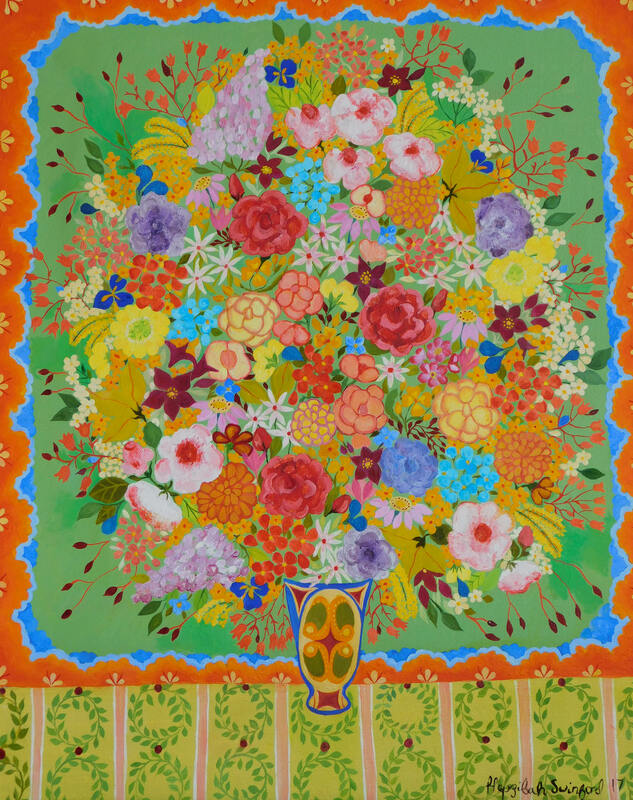 The influence of this, along with her own collection of antique pottery, is felt in her works. Her vases evoke Ming and Meissen, satsuma, cloisonne, cranberry, art deco and the Middle East. 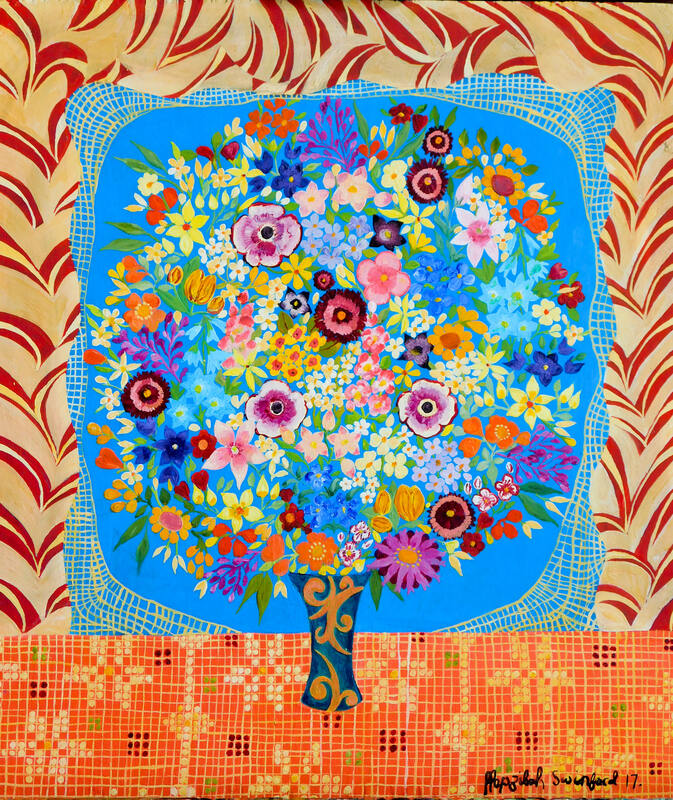 These elements are coupled with references to fabric patterns from William Morris to Bauhaus. 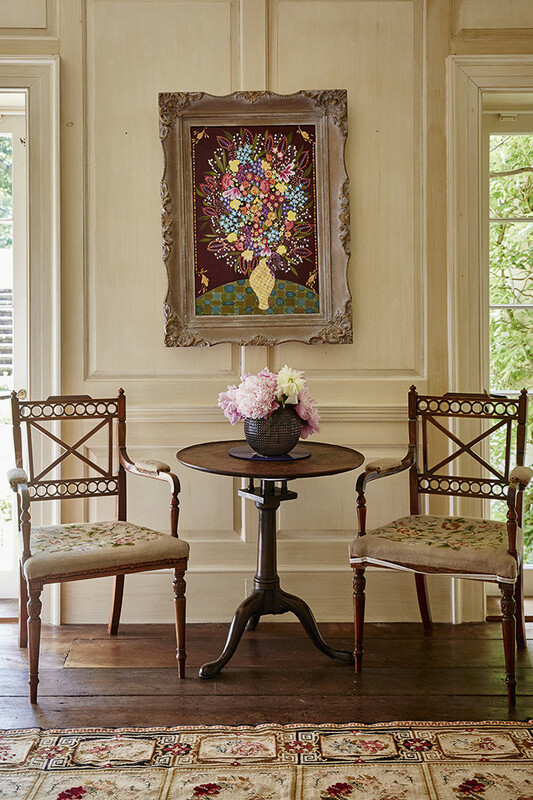 Each painting is then housed in a reclaimed gilt Old Masters frame. 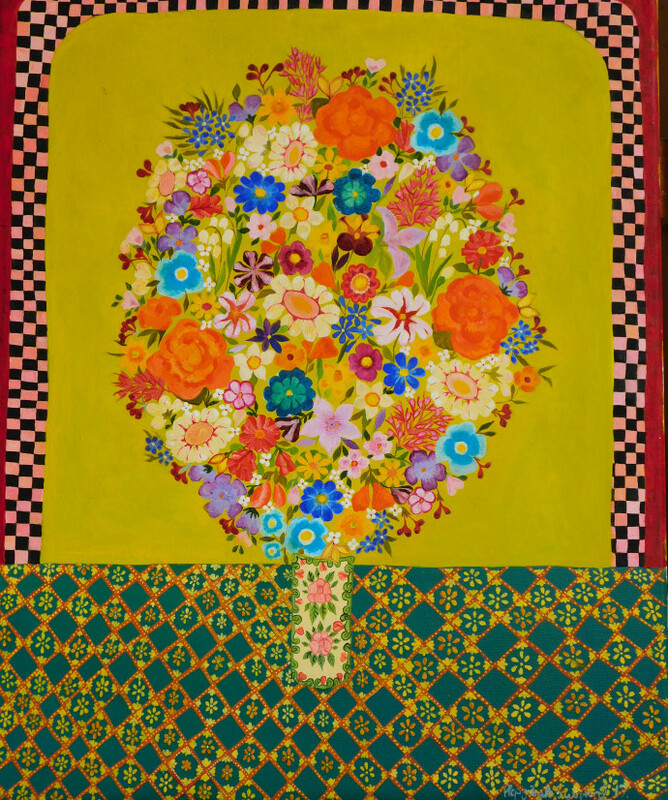 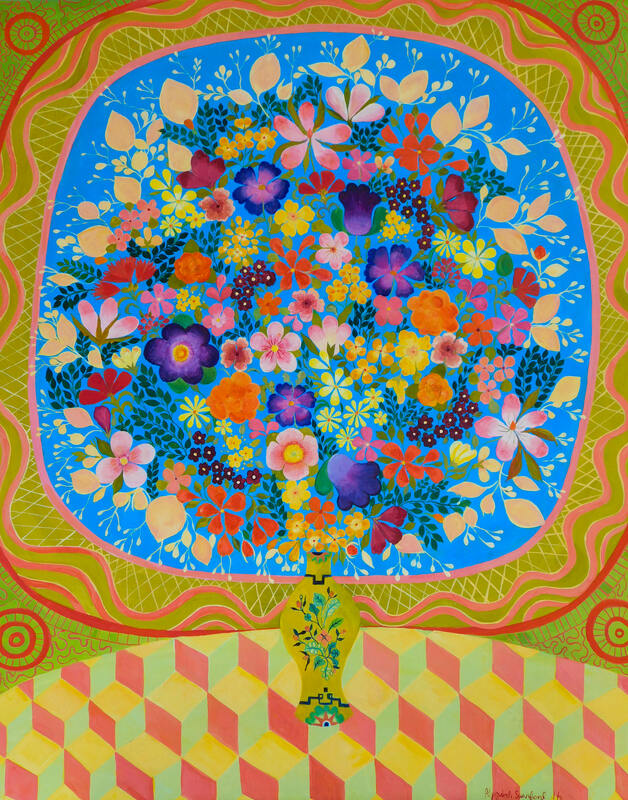 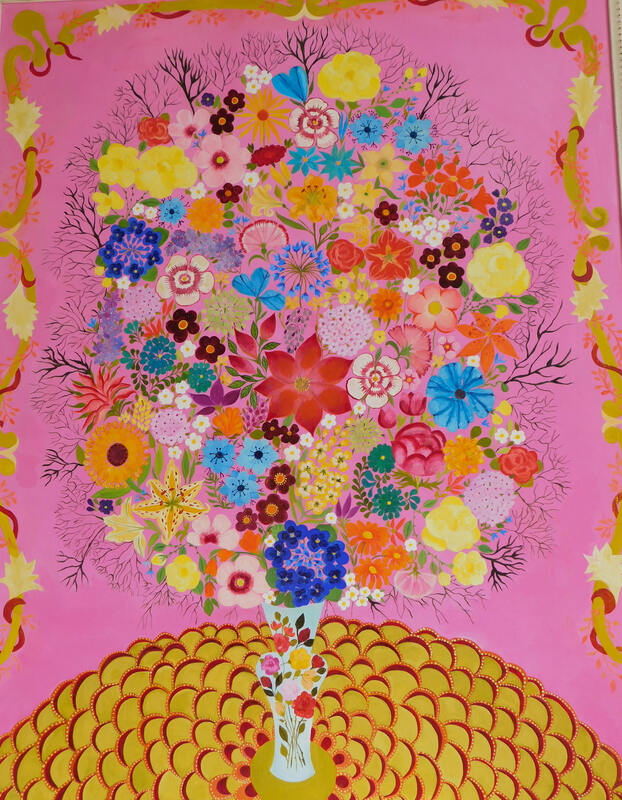 To coincide with Flowerbomb, Swinford's works will be exhibited at the Outsider Art Fair in Paris from 19 - 22 October 2017.